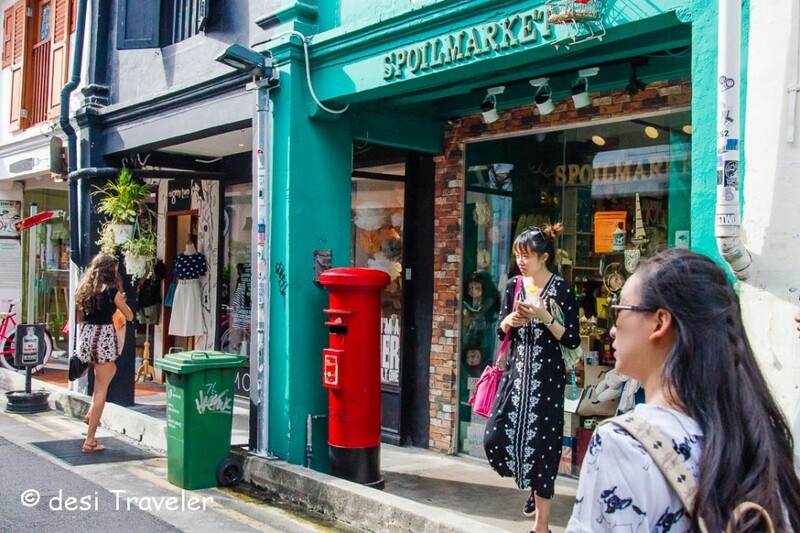 As I mentioned earlier that Singapore is perfect for a family vacation, and what is a trip to foreign lands without a bit (or a lot) of retail therapy, especially when you are in a place like Singapore that is a shoppers destination no 1. So let us go for some Shopping in Singapore. 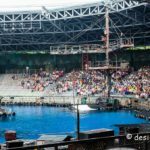 So dear readers in this post we will look at what to shop in Singapore and where to shop in Singapore. But before what and where to shop in Singapore, let me give you a reason for “Why to Shop in Singapore”. Ready For Some Retail Therapy In Singapore? As I mentioned earlier Singapore is very tourist friendly country and all tourists/ business travelers are eligible for a 7 % GST (Goods and Services Tax) refund on purchase of S$ 100 or above. Just make sure you check with the retailer before you purchase and fill a small form before you leave the showroom. We will talk about the GST refund process later in the post, now let us enjoy that additional 7 % windfall and plan some extra shopping in Singapore. So here is my list of things to buy in Singapore with some insights on where to go shopping in Singapore. Electronics Items: The root of our foreign electronics goes back to the days when only people who could afford color TVs were either super rich or those who had cousins in foreign countries or they were both –rich with relatives in foreign countries. But even in these liberal times and much lesser customs duty, Indians still love buying electronics when traveling abroad. Some of the most bought items by Indians in Singapore are Large Screen LED TVs, High-end Digital Cameras, and accessories, laptops etc. Where to buy Electronics in Singapore: So if you are an electronics buff and visiting Singapore, head straight to the big daddy of electronics Mustafa without even thinking twice. Spread over many floors and buildings Mustafa has an Indian connection. 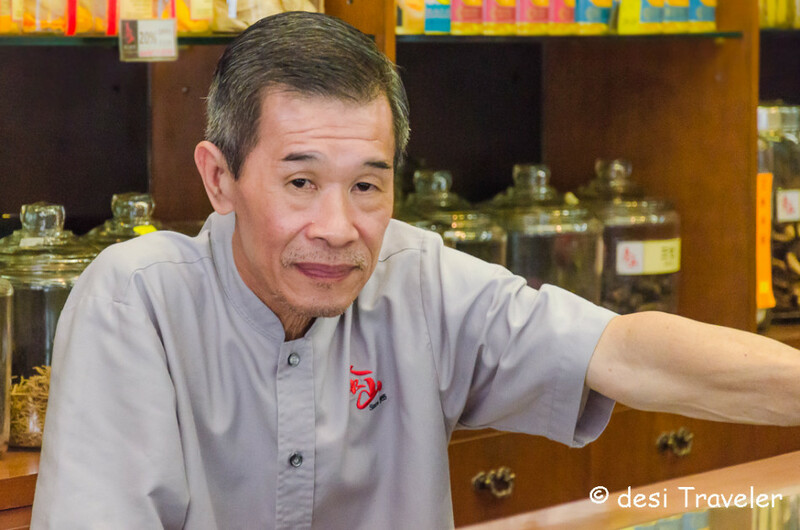 The founder of the group, Mr. Mustafa migrated from a small village in India and made it big in Singapore. Today the Mustafa store sells everything from Chocolates to Computers and everything in between and services like Forex, travel, and tickets etc. So go ahead buy that large screen TV, DSLR or huge suitcases and bags to carry your all other shopping in Singapore. 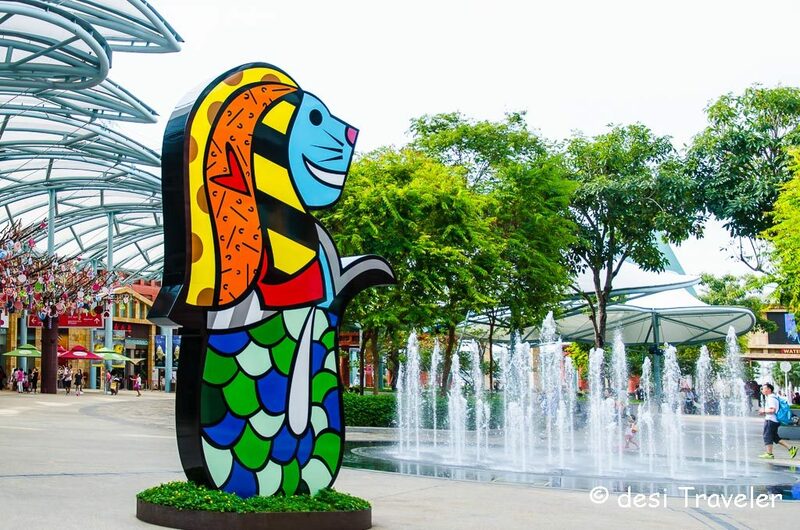 Singapore Themed Souvenirs: Well when in Singapore the symbols of Singapore like the Merlion themed souvenirs, T-Shirts and other gift items like Coffee Mugs, key chains etc. All these knick knack make for great gift items to take back home. While you will find Singapore souvenirs almost everywhere but for some amazing variety and bargain prices visit China Town or Little India. Both the places are great not just for Souvenirs from Singapore but also other gift items like handicrafts etc. Chinese Curious: With a major Chinese influence you will find many unique Chinese curios ranging from paper lanterns to decorative items like mirrors, figurines, paintings etc. that showcase the Chinese countryside and earlier lifestyle. 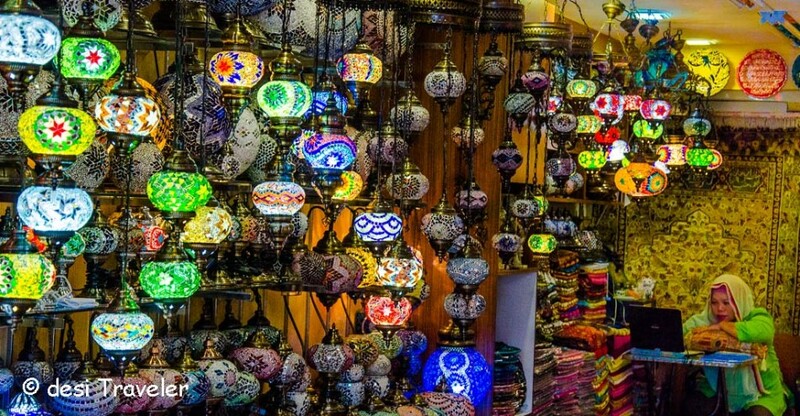 They all form unique decorative items and add a bit of oriental to your homes. 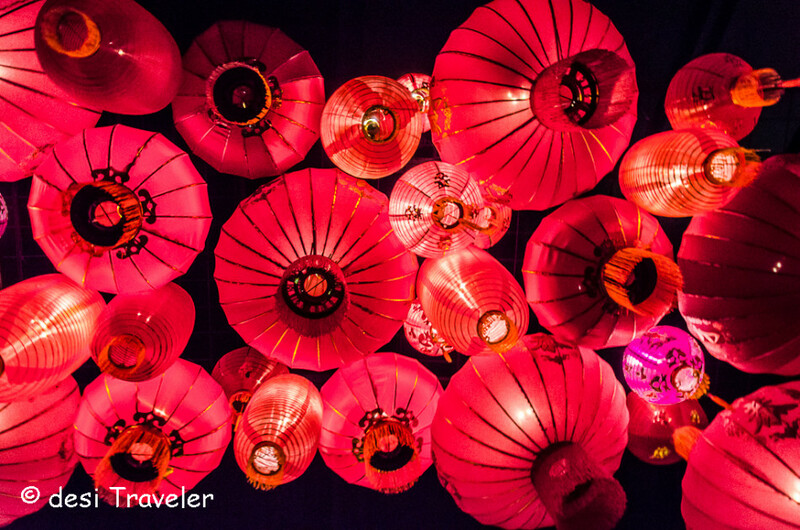 The best place to buy is Singapore Chinatown. 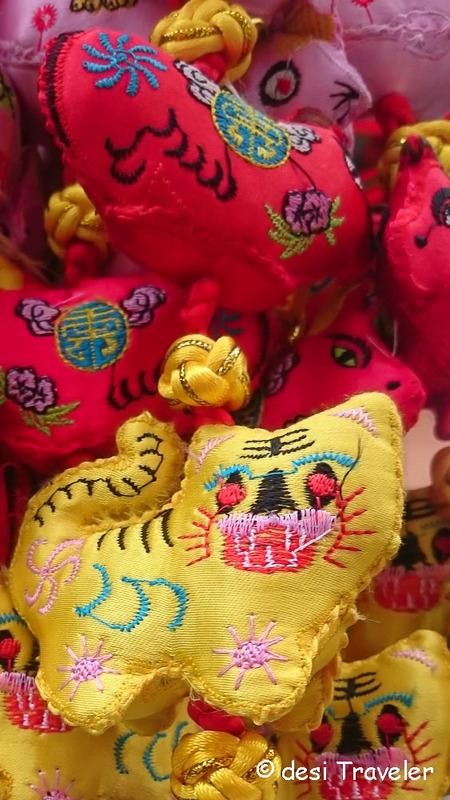 Feng Shui Collectibles: As Singapore is home to a large Chinese population, you will find Chinese influence in day to day life, like penetration of Feng Shui in homes and offices. Places like Chinatown are ideal to look for Feng Shui items to attract wealth and happiness and to ward off the evil eye. 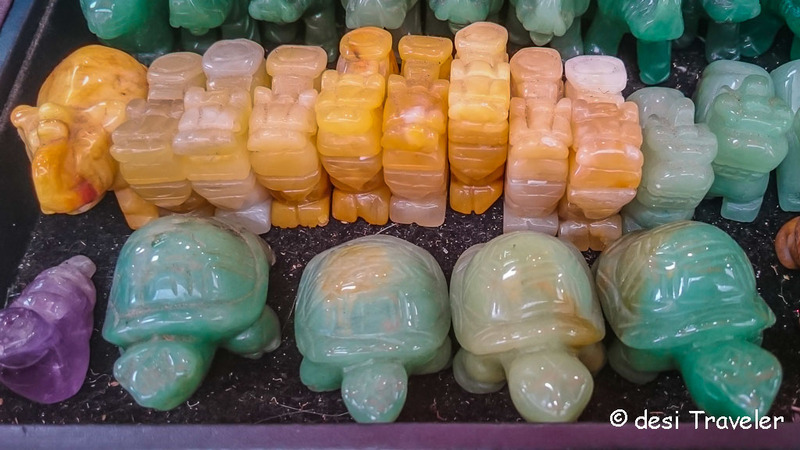 You can buy from small pocket-sized and pocket-friendly items to huge laughing Buddha, lucky tortoise, a frog with a coin etc. to bring in positive vibes in your life. Hollywood Movie Memorabilia: We learned about Madam Tussauds Singapore in an earlier post where you can get clicked with your favorite Hollywood (and Bollywood and other Asian) celebrities. 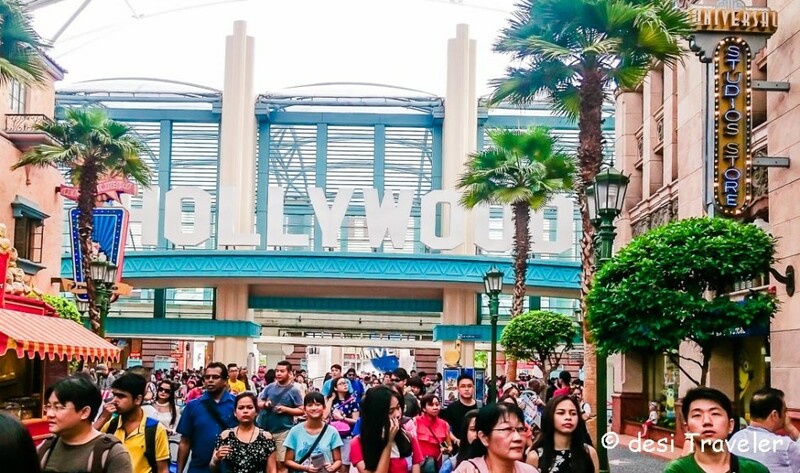 But if you want to take some of the Hollywood action home head straight to Universal Studios in Sentosa, and after enjoying the rides and Waterworld Sea War show, you can buy various characters that have appeared in Hollywood movies produced by Universal Studios. So you can buy Shrek figurines, Transformer robots, Puss in The Boots, the lovable lion Alex and his gang from Madagascar long with the rouge but intelligent Penguins the fearsome T-Rex, and much more. Besides figurines, you also get T-shirts, caps, water bottles, games etc. based on movies produced by Universal Studios. 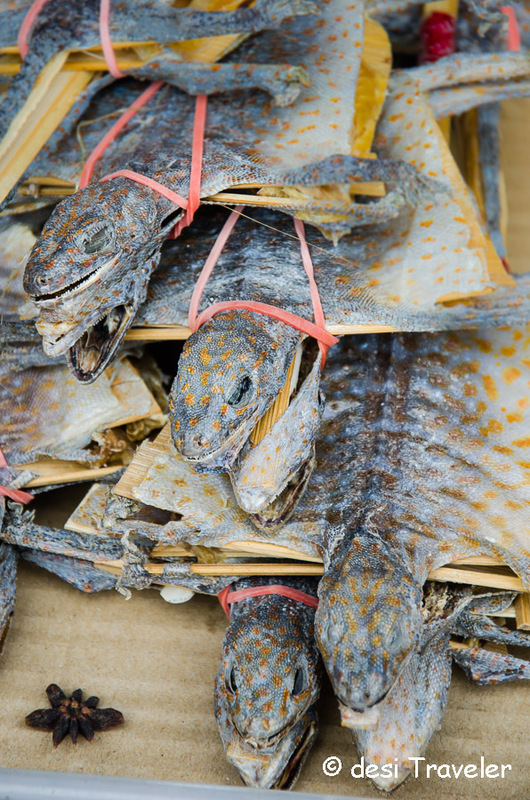 Chinese Drugs and Herbal Medicine: Chinese medicines normally get a flak for using wild animals especially Tiger bones and snakes parts. But if you are a believer of Chinese medicine then Singapore is a great place to buy some of them. Not only can you consult a qualified Chinese system of medicine practitioner but can also buy authentic Chinese medicines and drugs. 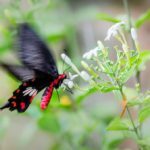 Considering the strict law enforcement in Singapore, your chances of buying something illegal are rare so you should be safe in buying Chinese Drugs and Herbal Medicine in Singapore. Besides a lot of herbs and mushrooms, I also noticed some dried lizards and what appeared like squid or octopus for sale in some of these shops. 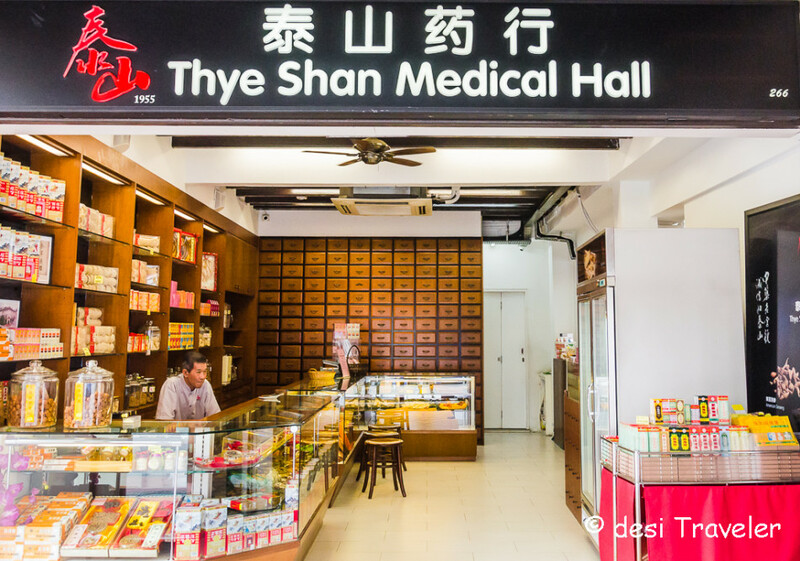 I am not sure what their use in Chinese medicine system is but you can always check when you visit some of these shops in Chinatown of Singapore. 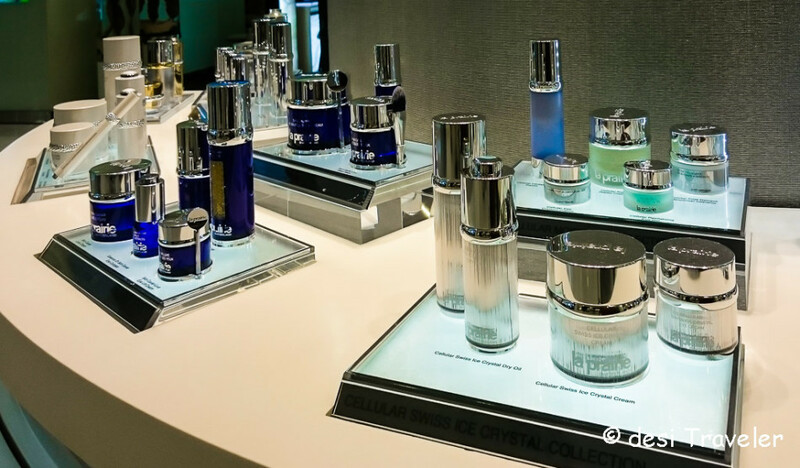 Luxury Designer Brands: You can find the most luxurious brands of cosmetics, watches, bags and designer clothes in Singapore.Prada, Gucci, Tag Heuer, Cartier, YSL, Rolex, you name it and you will find the brand in Singapore. Some of the best places to buy luxury brands in Singapore are the famous Orchard Street and the mall attached to Marina Bay Sands Hotel simply known as The Shoppes at Marina Bay Sands. If you can afford you can try the personal shopping experience at the high-end departmental store Tangs on Orchard Road. 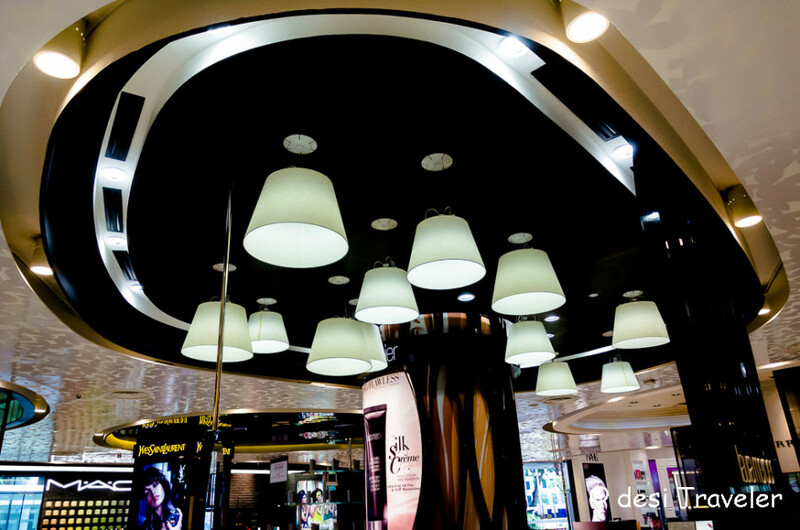 Spread over many floors, Tangs offer you ultimate in the shopping experience. Once you book an appointment, you don’t have to move around the store shopping your personal shopping guide will bring all you want to shop in a personal room where you can sit with your friends and try out clothes, bags and other things that you want to buy. 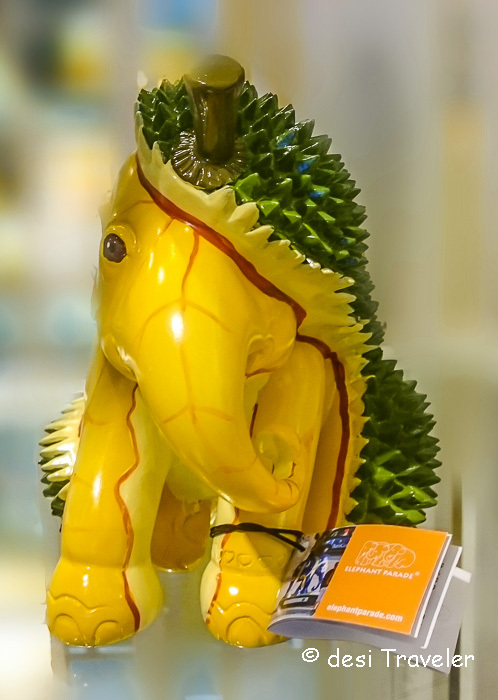 While in Tangs look for painted Elephants on sale in support of Elephant Parade, that is helping conservation of Asian Elephants. 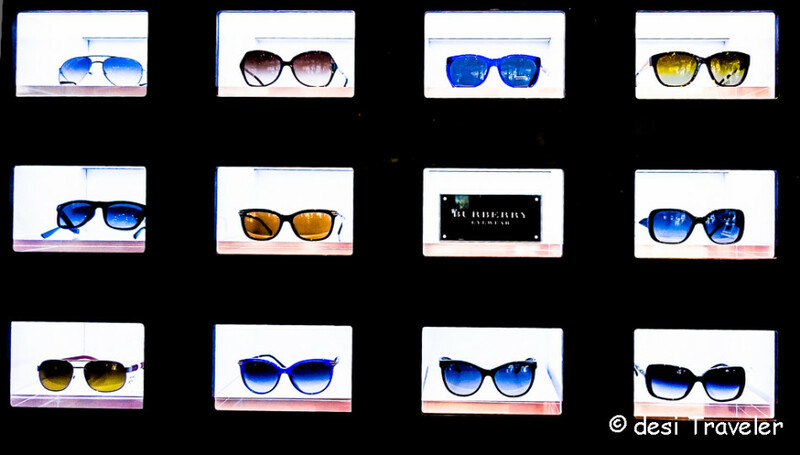 Hunt for the perfect fashion Statement: Every city has an area that is popular with the younger crowd to bargain hunt for designer clothes, accessories and hangs out for a cup of coffee. While you may not find big luxury brands here you will find a lot of funky clothes, accessories which you can mix and match while looking for that perfect bargain that will make your friends envious of not only your fashion sense but also for knack to find a great deal. 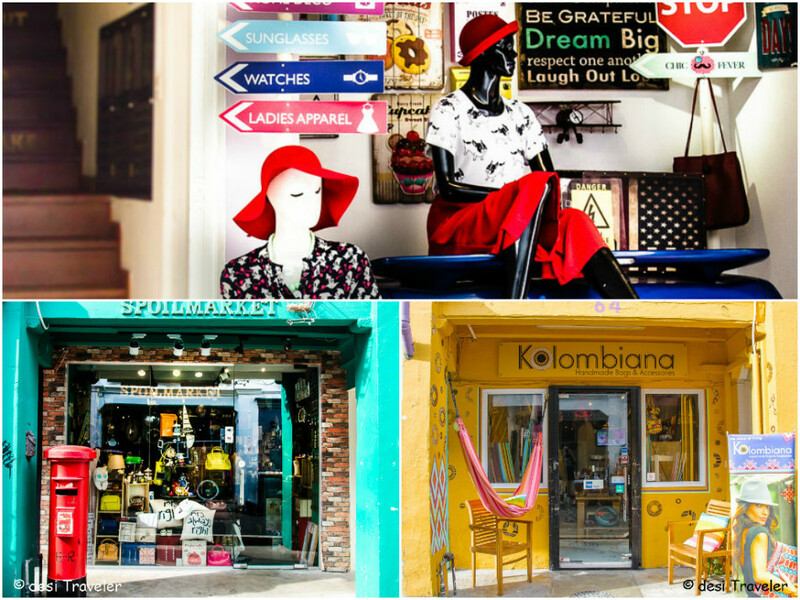 Haji Lane is one such area that has quaint shop homes selling clothes, accessories for that are contemporary and global in appeal. The area is also home to some curious shops where you can find some real fun stuff not normally found in big departmental stores. 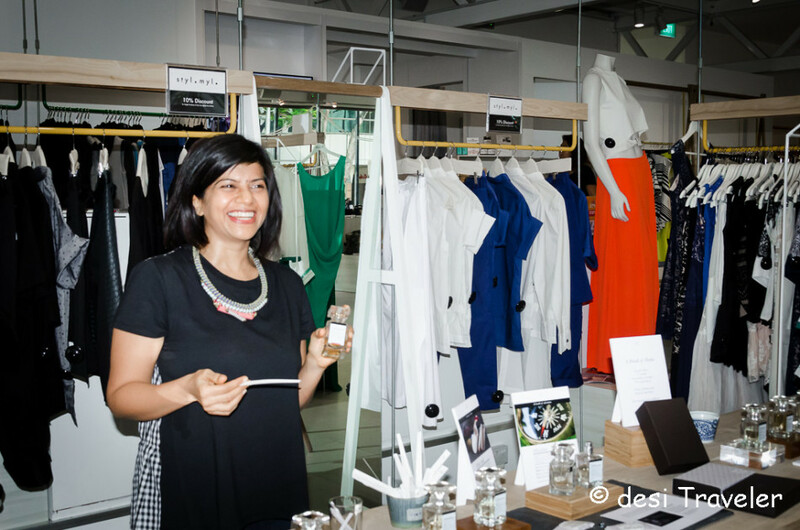 Designer Clothes and Accessories by Singapore Designers: If you are for some really exclusive clothes and accessories designed by highly talented designers from Singapore then you should head to Keepers on Orchard road. Keepers Designer Collective is a collaborative showcase of designers and artisans from diverse disciplines fashion, accessories, furniture, housewares, and perfume and of course, food and beverage. Most of the designers associated with Keepers Designer collective though young are already making a name for themselves in both Singapore and outside. 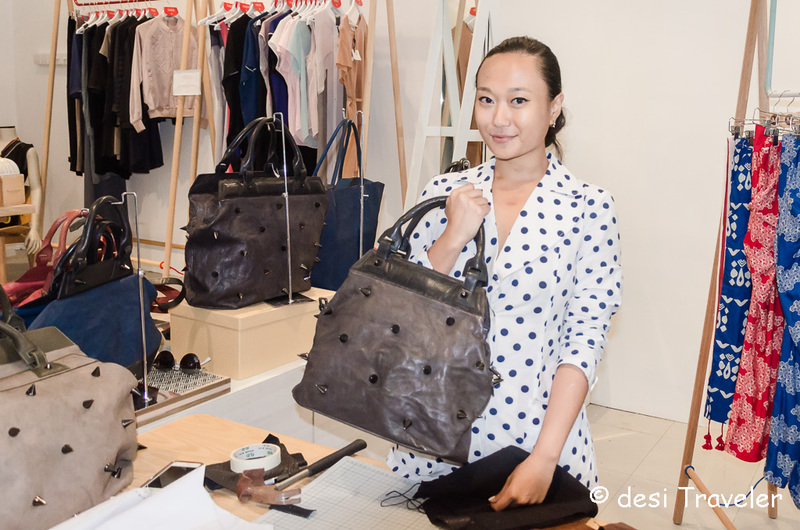 We saw some very unique products like Durian Bag designed by Putri Soediono, whose bags with a unique shape and excellent craftsmanship are a hit with young women. She retails her collection under the name PU BU ME SU; I liked her bags because of the Durian fruit like spikes on them I suggested to her that she should export these bags to India as girls can use them for self-defense from Road Side Romeos. One of the most exquisite collections that I saw was from Ong Quanda, the man behind the story of Gnome and Bow. 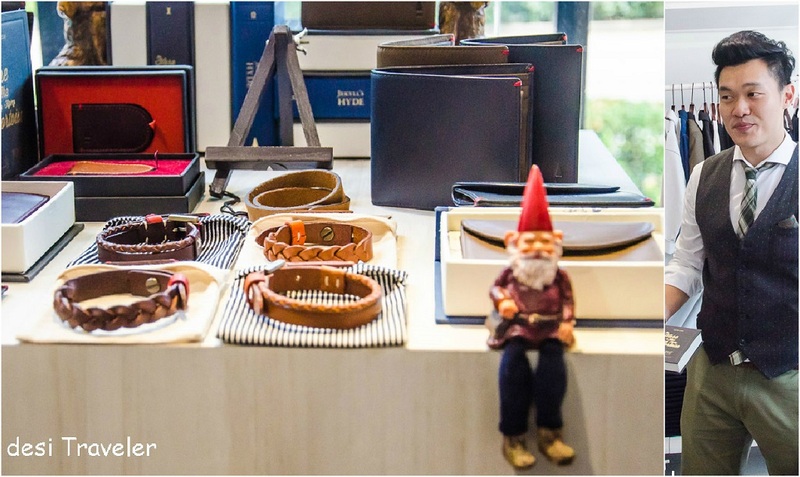 Gnome and Bow bring you bags and accessories like belts, purses, stationary etc. inspired by fairy tales. 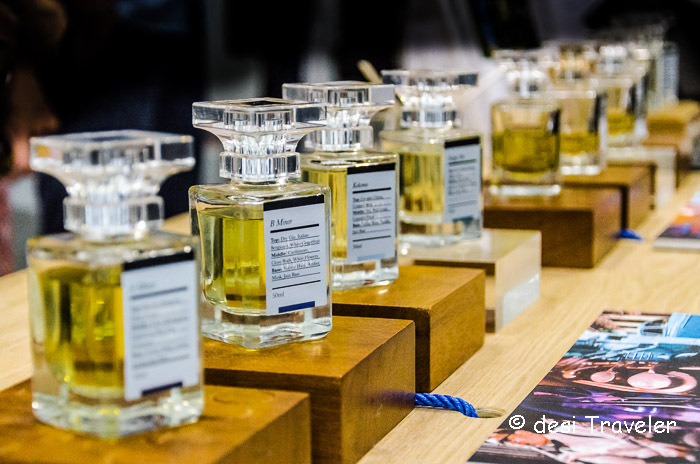 Each of the product made has an inspiration from a fairy tale and reinvent it for modern times in the form of well thought of designer products by Ong Quanda the founder and CEO. 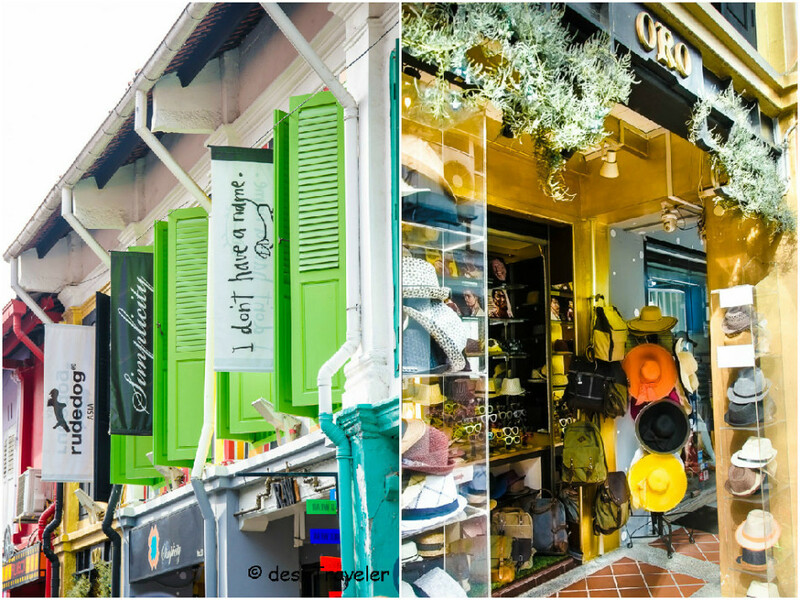 Another neighborhood to try some designer wear and artwork is Tiong Bahru Neighbourhood that was developed as one of the first neighborhood in Singapore. 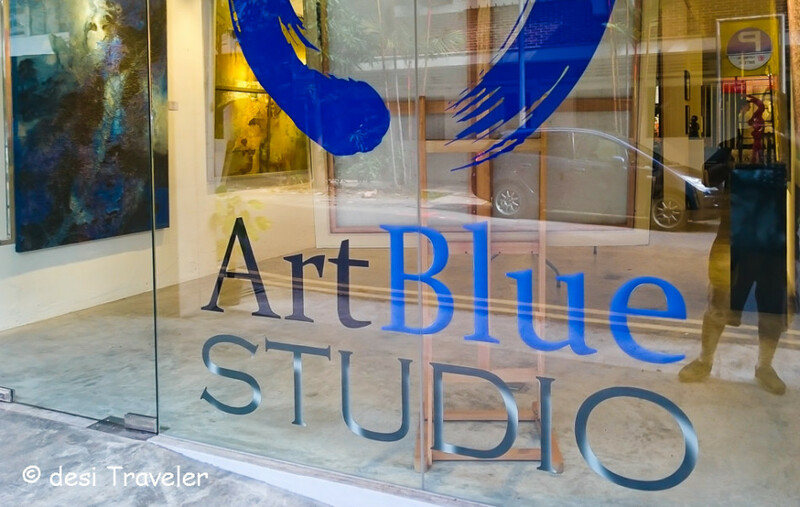 You will find many art galleries, designer boutiques and coffee homes in Tiong Bahru Neighborhood. 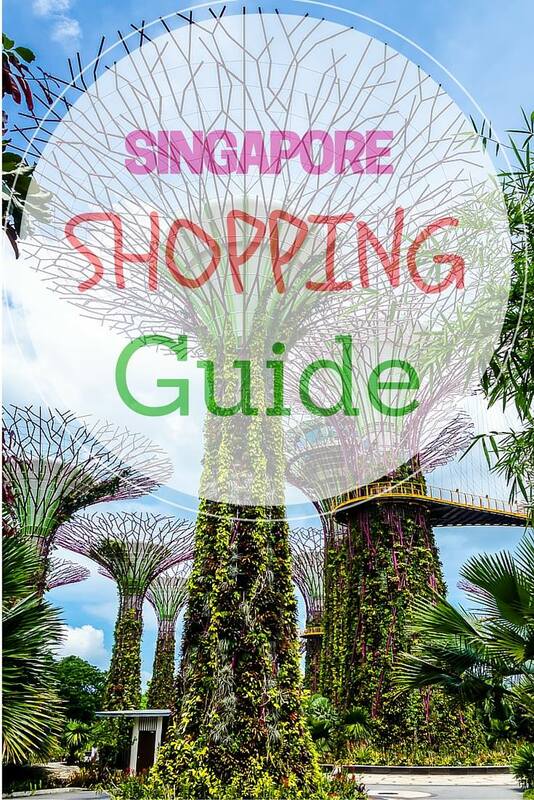 I hope this list will help you plan your shopping in Singapore and you will come back with many bags full. But just before we sign off as promised let me give here you the process of how to get your 7 % GST back on shopping in Singapore. This brings me to a very important point, if you are busy and in Singapore only for a short visit then I would suggest you reach the Changi Airport in Singapore a few hours ahead of your flight and shop at the airport itself. 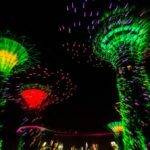 Changi Airport is one big mall with almost everything available that you may want to buy in Singapore from Souveniers to sweets and electronics to elegantly designer wear. Once you have shopped at the store, ask the cashier for the GST refund counter. You will need to fill a form and give it there. Once you are leaving Singapore present the form at the exit point e.g. The Changi airport or if you are leaving by a cruise ship you can apply through Electronic Tourist Refund Scheme. More details can be read here: GST Refund Process in Singapore. 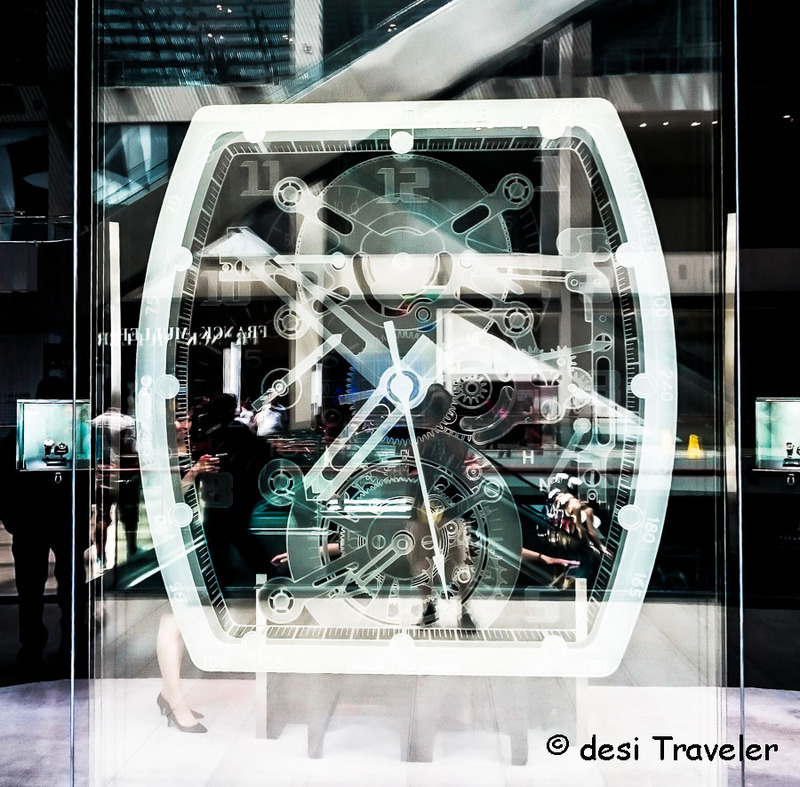 This is an awesome shopping guide, Desi Traveler. One can’t leave there without a merlion souvenir, right? 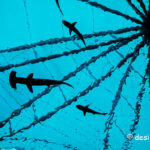 I haven’t seen enough of Singapore but when I do, I’m sure I’ll go thro’ this post again. I should have read this before going! I didn’t buy anything at all there…unless I can include the GoPro at the airport (it was actually cheaper than the price on US Amazon)! so many options!! the shopoholic in me is super excited 😀 those bags would surely be a hit 🙂 loved the chinese shop pictures. Thanks for such informative post here. Singapore is one of the most popular city around the world. I’m working in this market from last 3 years, now people move to online shopping rather than order their stuff to going malls. Detailed info and tempting pics ,will keep this in mind if i ever get a chance to visit Singapore. 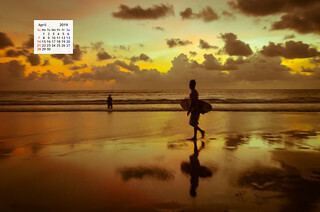 Thanks a lot Sadhvi… and welcome to desi Traveler…. Very informative post ! Mustafa is best place as there prices are fixed.